DivX on Tuesday announced the latest version of its flagship video software package, DivX Plus Software with HD video, which supports up to 1080p HD H.264-based videos in the MKV file format. DivX has redesigned their software interface to make it easier to use. The DivX Plus software package includes the DivX Plus Player, the DivX Plus Web Player, the DivX Plus Codec Pack, and the DivX Plus Converter. DivX Plus Player's new DivX To Go feature lets you transfer videos from the computer to any of the 250 million DivX devices, including DVD players, Blu-ray players, digital TVs, gaming consoles and mobile phones. The DivX Plus Software Package is available for free download for Windows 7, Vista and XP at DivX's Website. 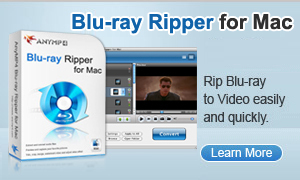 Copyright© 2014 Blu-Ray Rippers.com. All rights reserved.